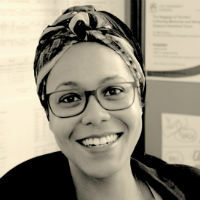 Dr Mbaye joined the Department of Music, Culture and Creative Industries, as Lecturer in Culture and Creative Industries in January 2015. Mbaye is interested in urban popular cultures, and has researched on the music economy in relation to entrepreneurship, development and social transformation in Francophone West Africa. Her work generally focuses on cultural labour and creative production processes, as well as the work and policy practices of urban creativity in African contexts. French (can read, write, speak, understand spoken and peer review), Portuguese (can read and understand spoken) and Spanish; Castilian (can read, speak and understand spoken). Mbaye, J. and Dinardi, C. (2019). Ins and outs of the cultural polis: Informality, culture and governance in the global South. Urban Studies, 56(3), pp. 578–593. doi:10.1177/0042098017744168 . Mbaye, J. and McShane, I. (2018). UNESCO Creative Cities Network Membership Monitoring Report. UNESCO. Mbaye, J. (2016). A Regional Report on Urban Conservation and Regeneration: Sub-Saharan Africa. UNESCO. Mbaye, J. (2016). Rogue Flânerie: Cultural Takhawalu in Urban Extremes: Cape Town & Dakar. In Umunna, M. and Disu, O. (Eds. ), Open City Lagos (pp. 50–57). Nigeria & Switzerland: Heinrich Böll Foundation (Nigeria), Nsibidi Institute (Nigeria) & Fabulous Urban (Switzerland). Mbaye, J. and Deme, A. (2015). Formidable comme Karim Wade. In Beyer, T., Burkhalter, T. and Liechti, H. (Eds. ), Seismographic Sounds – Visions of a New World Bern: Norient Books. ISBN 978-3-9524496-0-8. Mbaye, (2015). Géographies de l'économie de la musique hip hop au Sénégal. In Roy-Valex, M. and Bellavance, G. (Eds. ), Arts et territoires à l'ère du développement durable : vers une nouvelle économie culturelle? (pp. 231–258). Laval: Presses de l'Université Laval. ISBN 978-2-7637-2619-9. Mbaye, J.F. (2014). Hip hop politics: Recognizing southern complexity. The Routledge Handbook on Cities of the Global South (pp. 396–412). ISBN 978-0-415-81865-0. Mbaye, J.F. (2013). On the Rogue Practices of West African Musical Entrepreneurs. Rogue Urbanism: Emergent African Cities (pp. 253–264). Cape Town: African Centre for Cities & Jacana Media. Mbaye, J.F. (2011). Hip Hop Political Production in West Africa: AURA and its Extraordinary Stories of Poto-Poto Children. Native Tongues: An African Hip Hop Reader Trenton, N.J.: Africa World Press. Mbaye, J.F. (2009). Hip Hop Space of Politics in France. Culture and the City (pp. 395–416). Berlin: Berliner Wissenschaftsverlag. Mbaye, J. (2017). Mali's cultural capital shows how citizen-centred development can trump gentrification. Mbaye, J.F. (2015). Musical borderlands: A cultural perspective of regional integration in Africa. City, Culture and Society, 6(2), pp. 19–26. doi:10.1016/j.ccs.2015.03.002 . Mbaye, J.F. (2014). Living the Hiplife: celebrity and entrepreneurship in Ghanaian popular music by Jesse Weaver Shipley (review). Africa, 84(2), pp. 339–341. MBAYE, J.E.N.N.Y.F. (2014). JESSE WEAVER SHIPLEY, Living the Hiplife: celebrity and entrepreneurship in Ghanaian popular music. Durham NC and London: Duke University Press (hb $89.95 – 978 0 8223 5352 2). 2013, 344 pp. Africa, 84(02), pp. 339–341. doi:10.1017/s0001972014000096 . Mbaye, J.F. and Pratt, A.C. (2014). Symposium “Re-making Creative Cities in African Contexts. International Journal of Urban and Regional Research. Mbaye, J.F. (2010). AURA ou de la production politique de la musique hip hop. Cahiers de recherche sociologique, 49, pp. 147–160. Mbaye, J. Five Video Clips from Senegal. Mbaye, J. On the Biopolitics of Hip Hop Galsen: Contestation Art and Democratised Imaginations. Mbaye, J. Spinning Translocal: A Discography of Central and West African Hip Hop.